A Columbia Gas employee repeatedly raised alarms about policy changes and staff changes, warning the changes could lead to catastrophe. “We didn’t have enough people to respond and to provide a safe, reliable natural gas," the employee said. “I think it is a resource issue,” the employee said. “In particular, in the Lawrence location, the resources were minimal." 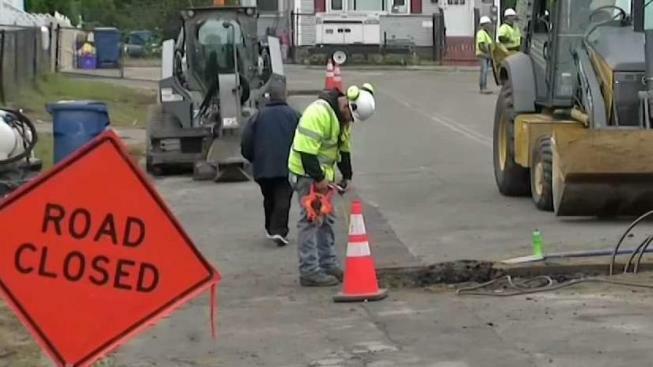 Bart Maderios gave an exclusive interview to the NBC10 Boston Investigators in which he said he warned Columbia Gas’s general manager, Frank Davis, and another senior employee, Dana Argo, that what he described as cutting corners would make work on gas lines less safe. Maderios was manager of the meters and regulation department, which monitored gas pressure and the underground sensor system in the Lawrence area. He retired from Columbia Gas three months before the Merrimack Valley explosions, which federal officials say were caused by over-pressurized gas lines. Maderios said company officials also cut his department – the one responsible for monitoring the gas pressure–from four employees down to one. And another significant change: not requiring experienced technicians to be present on work sites. An on-site technician from his department would monitor the gas pressure in the lines during work, while directly communicating with the work crew. The NTSB report focused fault for missing the pressure buildup that led to the explosion and fires on a field engineer with “limited knowledge about the importance” of pressure-sensing lines. One of those departments not consulted was Maderios’ former department, meters and regulation. He said that wouldn’t have happened on his watch. And without those meetings, he said the crews wouldn’t know crucial details about the lines they were working on. “This is where experienced people would say, whether it be the construction crew that just replaced those lines a few years ago or M & R, would have said, ‘Yeah those control lines are over in that other main,’” he said. Someone from his former department monitoring the job on site and familiar with the local details could have prevented the pressure buildup to begin with. And the right technicians could have had the experience and confidence to order the pressure regulator and valves shut immediately, something Mederios and the NTSB report said did not happen. “There is no way that valve could not have been left on for hours,” he said. Indeed, according to the NTSB report, the explosions started just after 4 p.m., and the valves were not shut off until nearly 7:30 p.m.
Maderios praised his former co-workers and said it was difficult to criticize the lead up to the explosions. He trained a lot of the first responders who ran to help that day on what to do in that very situation. But he said he was perplexed senior leadership ignored his warnings, and beside himself that they came true. Columbia Gas declined an interview, saying the ongoing NTSB investigation prohibits them from commenting. Along with the NTSB probe, Columbia gas also faces a criminal investigation led by the U.S. attorney’s office. Explosions tore through dozens of homes on Sept. 13, leaving thousands in Andover, Lawrence and North Andover homeless and without electricity and gas. Hundreds of people are still out of their homes, according to the latest update from Columbia Gas.